At Arizona Injury Law Group PLLC, we are dedicated to fighting for our clients and getting the benefits they need and deserve. We understand that when you are not working or are unable to work — you need bene fits fast. We understand that being injured on the job affects all areas of your life. We understand that when you have a serious work injury, suddenly your finances are in danger and that affects everything. Not having a regular income or the income to which you are accustomed may upset your relationship with your spouse or partner and even your children and extended family. You may be personally stressed, angry, resentful as a great employee who is now without a job or not being treated well by your employer. It is a scary situation that you never thought you would be in. To make matters worse, insurance carriers unfortunately do not always do what they should or when they should. Or worse, sometimes they don’t do anything at all. We have heard it all from big to small. We understand your concerns. More importantly, we know what needs to be done to help you. 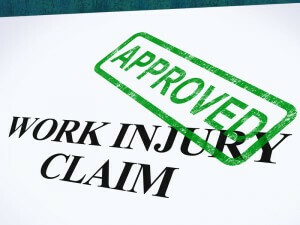 When you are injured and in physical pain or even psychologically impaired by your workplace accident the last thing you want to worry about is paperwork, deadlines, and legal statutes. Briana and Weston will walk you through the maze of laws and educate you so you understand what is happening each step of the way. Let Arizona Injury Law Group PLLC provide a no obligation consultation for you. If you want to deal directly with an attorney and not with an assistant, we are the firm for you. We can help you find the best doctors and we can also help you identify other potential legal issues and refer you to attorneys in our network. Call immediately for a free, no obligation consultation and let us help you put your life back on track. Let us help you regain normalcy and stability again. We want to help you get the benefits you need and deserve!